Visual coverage can be used for line of sight, radar or interception range. 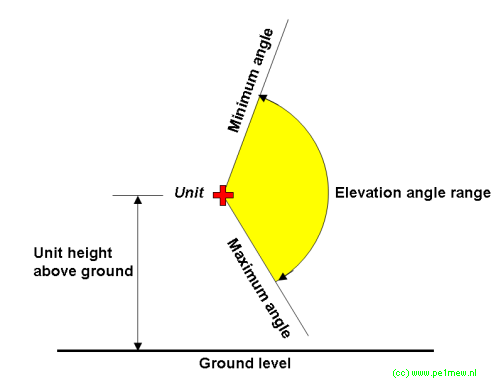 It is based on pure geometrical clearance, taking into account the sensor height above ground, the target height above ground (nap of the earth flight), the topography, and the earth curvature. Visual coverage uses the average earth radius to simulate earth curvature. This explains the difference observed with the radio coverage, where the radio beam tends to bend toward ground. This is the height of the source object that is to see, in meters above ground level. 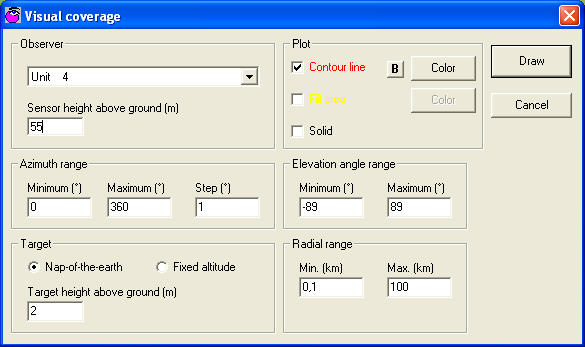 Please note that in SRTM both clutter and ground height are combined in one data base. 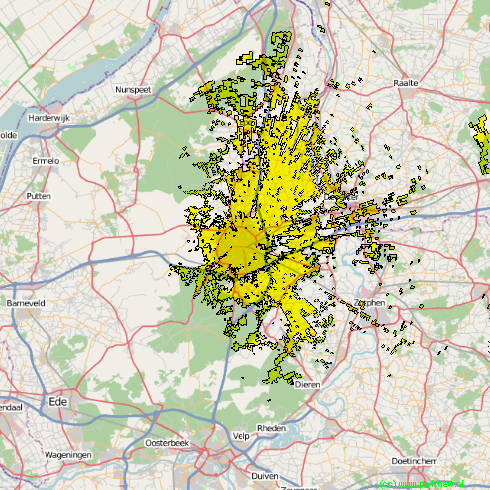 See 'Geodata > Background'. 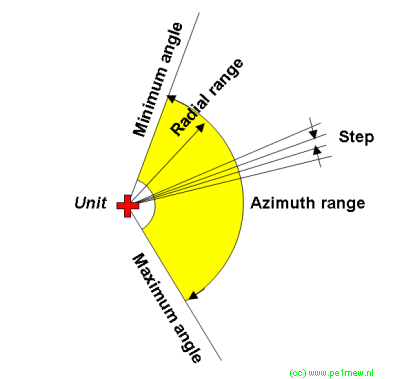 This is the height of the target object that is aimed to reach for in meters abouve ground level. Please note that in SRTM both clutter and ground height are combined in one data base. See 'Geodata > Background'. Will only display the line of the visual coverage polygon. Selecting the [B] button toggles a Bold or normal line while drawing a contour. When 'Bold' is selected the Text that represents the result will be bold. Will only display a transparent filled area of the visual coverage polygon. Will only display a transparent solid area of the visual coverage polygon.